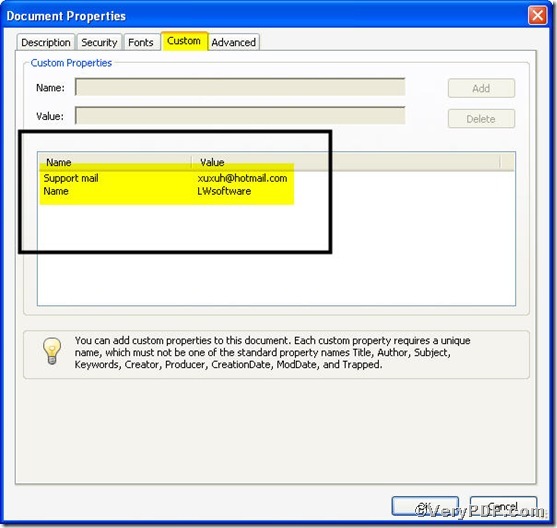 ← How to append PDF pages and convert RTF to PDF? To label your PDF files to some extent becomes necessary, it is a kind of property or belonging. If you want to share your PDF files , you will append custom PDF descriptions with the help of a tool, which makes appending custom PDF descriptions swiftly and briefly. Do not search all around, Advanced PDF Tools Command Line is your best choice. 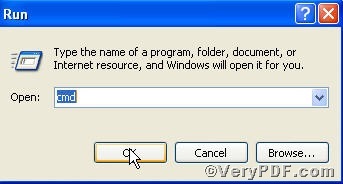 You just input command line, a user interface that is navigated by typing commands at prompts, the MS-DOS will execute your command to append custom PDF descriptions. Go for experiencing! do remember extracting it after download is completed, for it is zipped package. 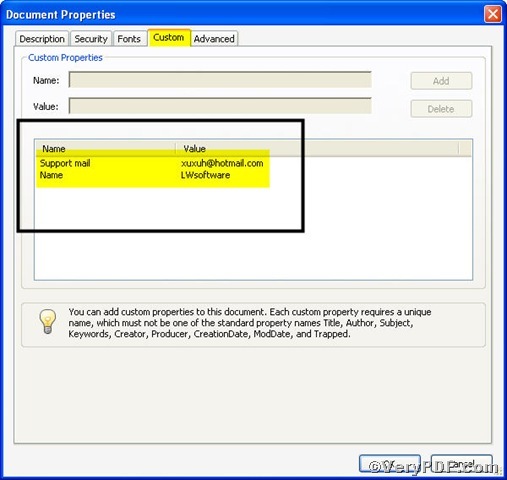 this picture clearly shows you are successful in appending custom PDF descriptions using command line , for Support mail=xuxuh@hotmail.com and Name=LWsoftware appeared in custom property. Do any of your products allow to read/find metadata values from pdf file? 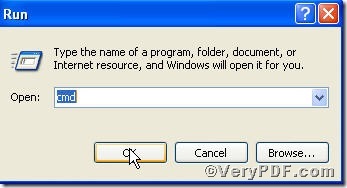 How to extract and dump metadata from PDF file?